An independent lay organization established in August 1978, serving in the Archdiocesan of SIngapore. - To meet the spiritual needs of the Catholic Deaf by providing adequate pastoral services. 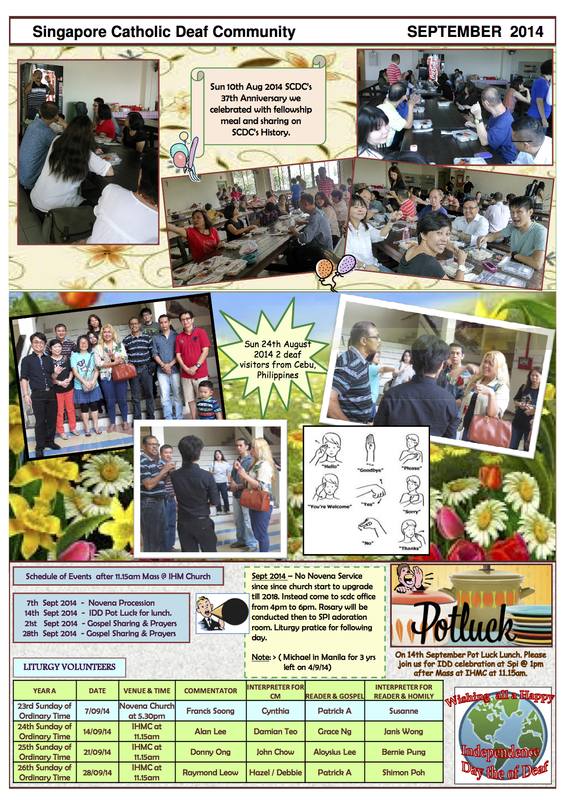 March newsletter released, let’s give our five minutes of our time to pray before we sleep. Feb Newsletter, don’t forget to read and pray. 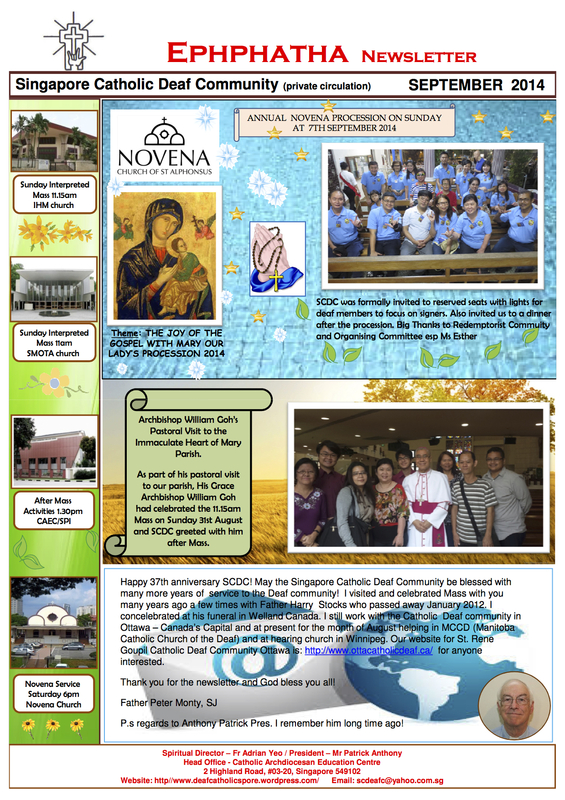 Jan Newsletter released, may God be praised! December Newsletter released! Let’s keep reading for God!